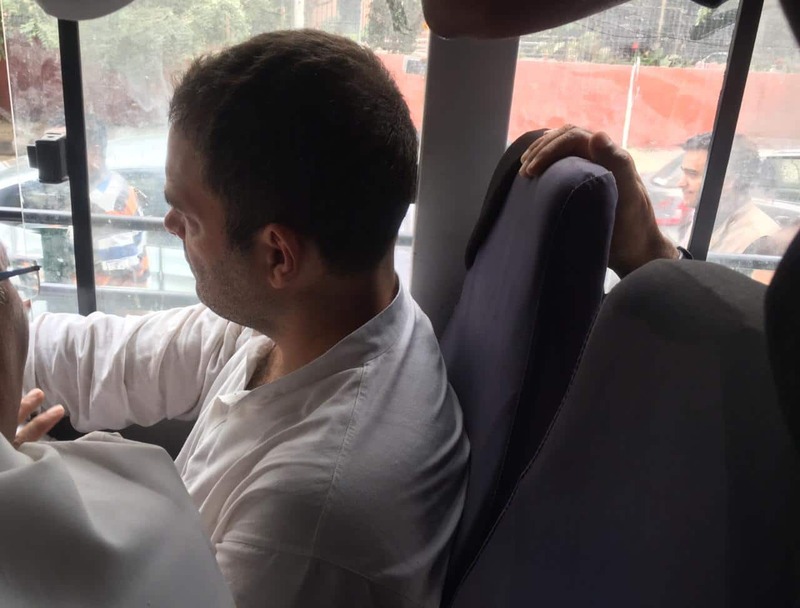 Congress president Rahul Gandhi was on Friday arrested along with several other party leaders after they organised a protest outside the Central Bureau of Investigation (CBI) office in Delhi. 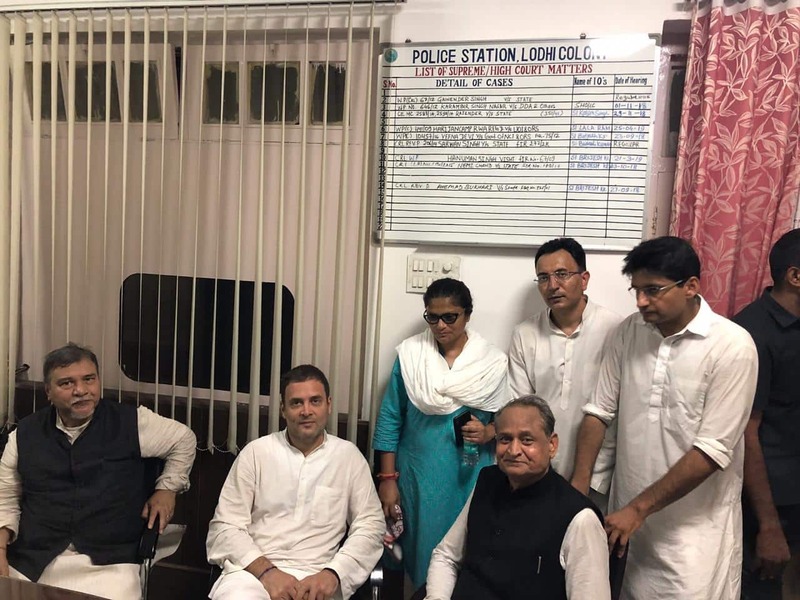 Gandhi was arrested along with top party leaders Ashok Gehlot, Ahmed Patel and Pramod Tiwari. Gandhi had alleged that the central government is bringing down democratic institutions. The protests have been organised to question the decision to send CBI chief Alok Verma on leave. Congress has levelled the charge that it is because Verma had begun asking questions about the Rafale deal that he was removed. And although CBI has clarified that Verma is still the chief and only temporarily asked to go on leave pending probe into allegations of misconduct against him, Congress remained defiant in its demand for his reinstatement. Congress workers attempted to break barricades set up outside CBI headquarters while slogans were raised against BJP and the central government. 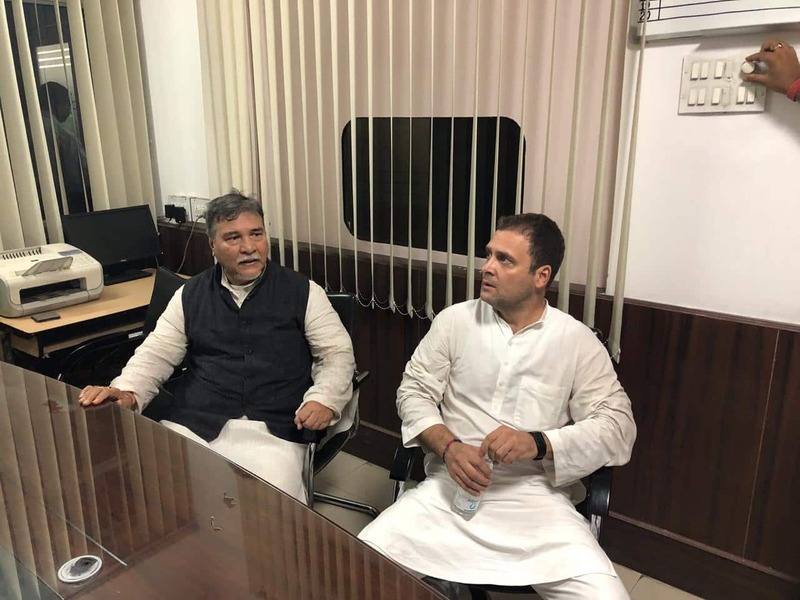 There were also slogans against Prime Minister-led Appointments Committee of the Cabinet which had issued the orders with Rahul saying PM Modi was dismantling democratic institutions. 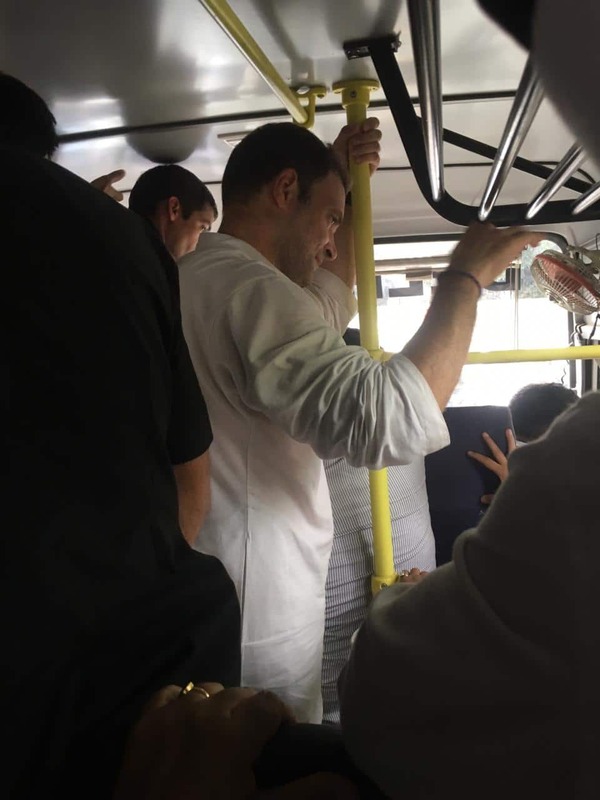 He and several Congress leaders were eventually arrested and taken to the Lodhi Road Police Station where there were also reports of workers clashing with cops - shouting slogans and creating widespread mayhem. Meanwhile, Delhi Traffic Police said vehicular movement on Lodhi Road, CGO Complex, Bhishma Pitamah Marg, Sai Baba Chowk and near Dayal Singh College had been affected due to the large assembly of Congress workers. Elsewhere, protests were organised near CBI headquarters in Lucknow, Bengaluru and Patna. Water cannons were used against Congress workers in Chandigarh. BJP - which had earlier said the decision to send Verma on leave was to maintain the integrity of CBI - countered Friday's protests by saying that Congress has lost sight of real issues. 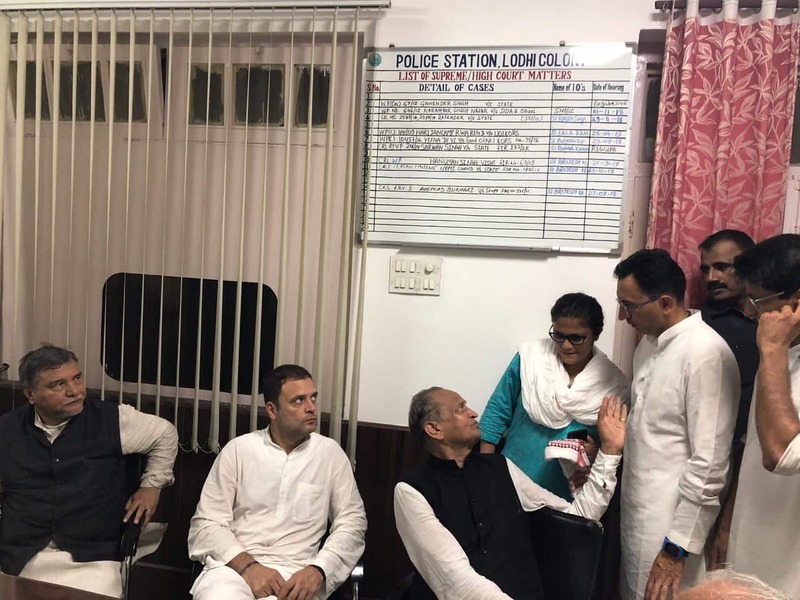 Congress President Rahul Gandhi at Lodhi Road Police station. 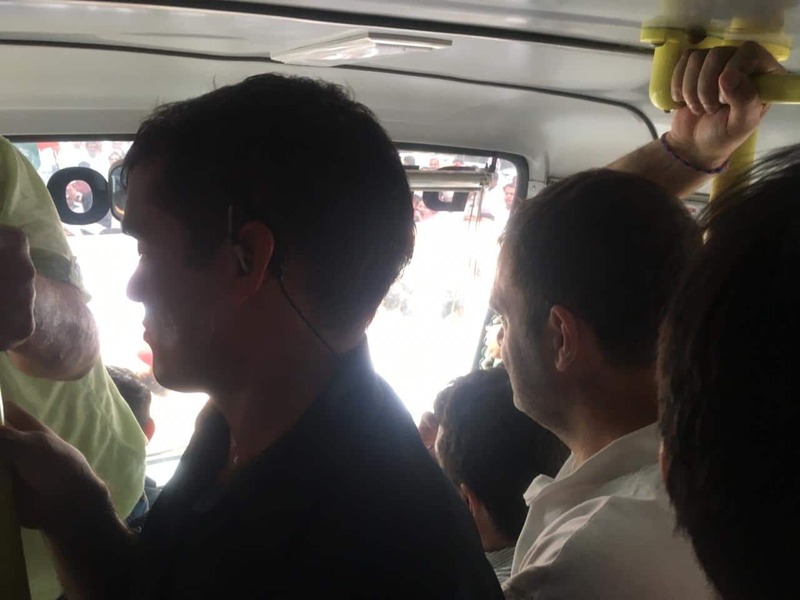 Congress president Rahul Gandhi being taken to Lodhi Road Police station. 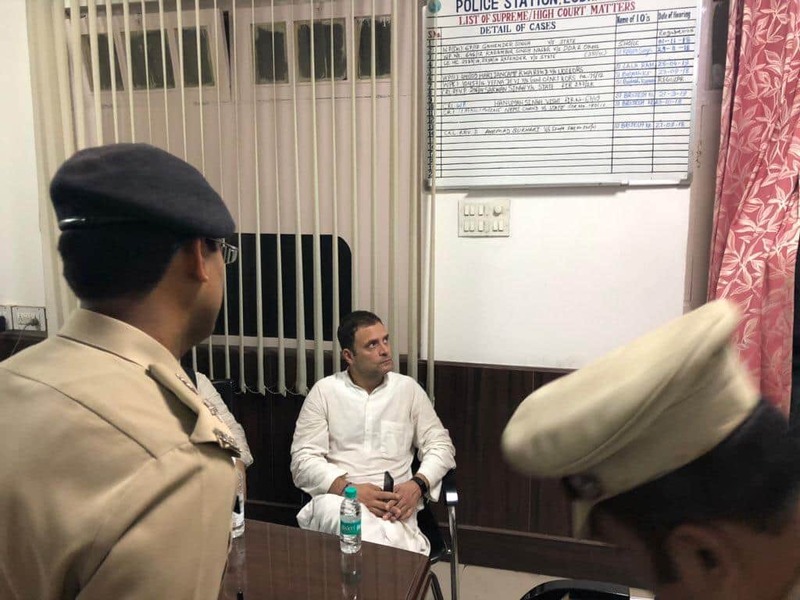 Congress staged a protest outside CBI office and Rahul Gandhi was arrested along with other party members. 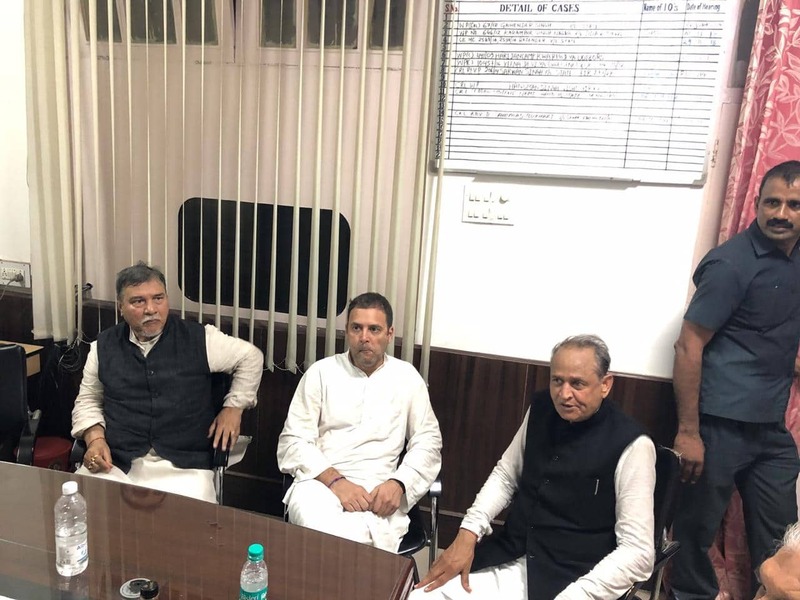 Congress president Rahul Gandhi during the protest at CBI headquarters in Delhi.